If I recall correctly from the days of my youth, one of the things we hated most about older people was the way they talked about “the good old days.” Especially the days when they were our age. Well, not me. I wasn’t thrilled with that time in my life. As a Preacher’s Kid who didn’t know that moving came with the territory until my father announced his resignation at the end of the worship service one Sunday, I was miserable. I was eight years old at the time, and that’s one of the only times I remember crying as a child. I didn’t want to leave the town we were living in. So I unconsciously decided to hate the city we moved to. I don’t recall a whole lot about that place. Not a whole lot good, anyhow. I gained a lot of weight—I remember weighing 148 in the sixth grade and having people at church talk about what a cute little fat kid I was. Although I had friends in the neighborhood, we weren’t close in a permanent kind of way. My parents were so concerned about my misery that they fully supported my becoming a safety patrolman. Whether that brought me out of my shell any further, I couldn’t say. So when we moved to another city, it was such a relief from the one I’d hated so much that I was bound to like it better. But lo and behold, the mayor prevented schools from opening on time in his resistance to integration. I don’t know how many Saturdays we had to attend school to make up for lost time, but I resented it—and Mayor Duckworth, whom I considered not to be worth a duck. During my eighth grade year, I came down with acute viral encephalitis and was in a coma for several days. Although I survived and was not left a vegetable as the doctors feared I might be, my recovery took forever and left me without nearly as much stamina as I’d had before. 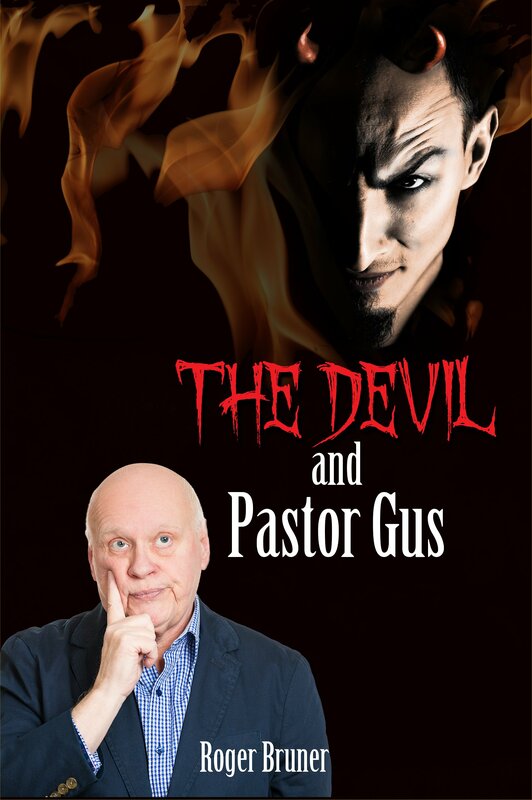 As the son of the Preacher, I often felt like I was left out of things. The kids at church were nice enough, but I didn’t really feel close to them. I was starting to like girls then but shy about admitting it. I dated very little, but enjoyed hours of telephone conversations. Things changed when I bought my first guitar in the fall of 1962 and started learning to play. 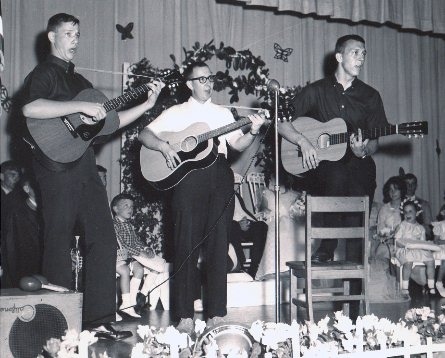 That was during what I refer to as “the folk fad of the sixties,” and I ended up forming a trio with two other guys from church. That was fun, but they had girlfriends and I didn’t. 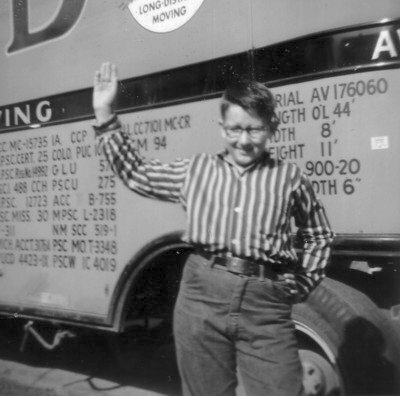 After graduating from high school in 1964, my parents and I moved to another state. No more trio. No more youth. Life is so much nicer now. I’m happily married, healthy in spite of the number of medicines it takes to keep me that way, and very involved in church activities. Not to mention having become a published novelist who retired at sixty-two to write full-time. Other older folks are free to talk about the good old days if they want to, but I’m happier with my life now than I ever was before. Because I’ve used up all of my songs, I revise and re-post a previous post each Wednesday. If you’re interested, please check that blog out here.